Design Improvised Turns 8 – Year in Review! Well guys, the earth has circled the sun yet another time and this little blog keeps chugging along. If that’s not an occasion for throwing pom-poms in the air, I don’t know what is! Each year when I do these anniversary posts I am increasingly in awe that I am still doing this. 🙂 A lot has changed in the online world since I started Design Improvised in January 2011 but for the most part I’ve been steady on my path of making and creating in the same way I always have. Each year brings new milestones and unexpected opportunities so I wanted to share those with you in my recap of 2018 and give a peek at my plans for 2019. I can’t thank you all enough for continuing to show up here at this little spot of the internet. If I have encouraged you to try even one project or have brightened your day with my ideas, then my job has been a huge success! 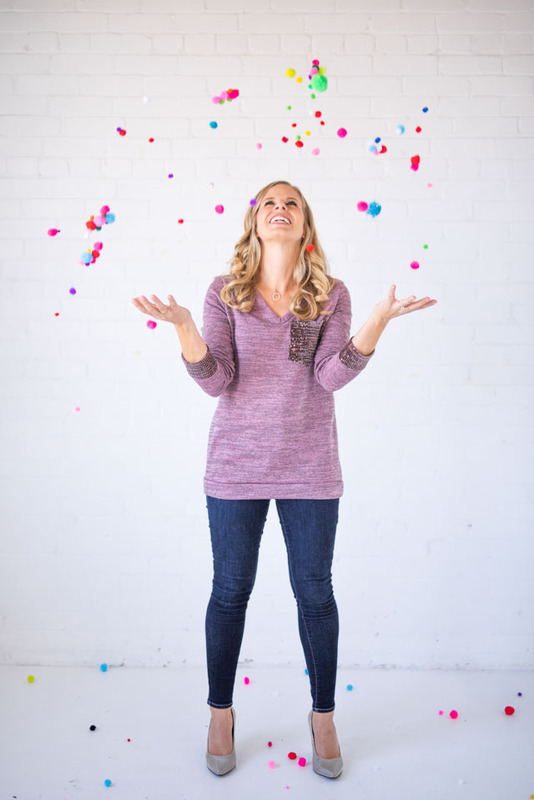 For this recap, I thought it would be fun to share some of the photos from my recent photoshoot with Melissa Raelynn Photography. After eight years in business, I decided it was time for some new headshots for my website, and boy was it fun! Melissa is a super talented photographer that specializes in professional branding photos for businesswomen. If you’re in the San Antonio area, check her out! 1. I haven’t run out of ideas yet – phew! Every January I question whether I’ll be able to come up with another full year’s worth of ideas, especially since I do a lot of holiday content. Can I really come up with more Valentine’s ideas after eight years of Valentine crafts? Thankfully, the answer so far has always been YES! My best ideas tend to come when I’m in the shower or on a walk. Sometimes they take awhile to form, but for now, they continue to flow! This past year, I wrote over 70 blog posts featuring tutorials for 25 holiday crafts, 20 home decor crafts, 12 kids crafts, and 6 parties and tablescapes, among others! 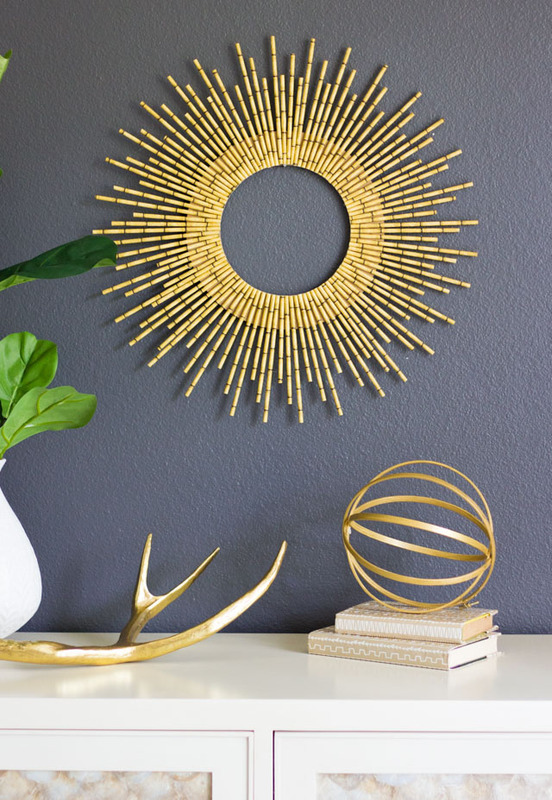 The bamboo starburst wreath made from paper straws (see below) was my most viewed project. I also did several fun theme weeks such as Unicorn Week, Kids Week, and Pumpkin Week. I love a good theme to craft around. 🙂 What’s to come in 2019 – get ready for lots more projects, including a LOVE week in February! We may also tackle a bathroom and laundry room renovation too. I know you guys love my room makeover posts so I’ll try to keep those coming! I also had multi-project collaborations with several new brand partners this year including Astrobrights, Chinet, and Kid Made Modern. This paper chain wall hanging with Astrobrights paper, a pretty Mother’s Day table with Chinet tableware, and these silly Halloween spiders for Kid Made Modern were some of my favorite projects with these great brands. What’s to come in 2019 – I plan to continue my partnerships with brands I love and seek out some more local clients here in Texas and San Antonio. Stay tuned! 3. I learned how to shoot craft videos! In 2018 I finally bit the bullet and tried producing videos, starting with this pom-pom heart shirt video. I invested in some new equipment and editing software, and enlisted the help of a friend. There was a bit of a learning curve (including having to reshoot several videos for a client! ), but I improved with every one and now have mastered the overhead crafting video format. Like my friend Amy says in her Just Start e-book, “Start where you can, make where you are at.” I’m glad I just started and kept improving along the way. At least I think it was seven…I’ve kind of lost track at this point! All good things come from Alt Summit – my favorite creative business conference. 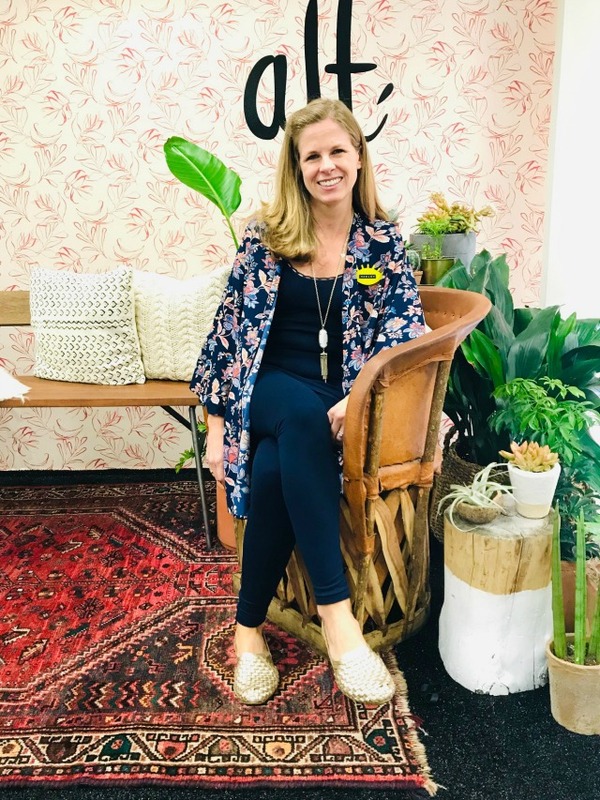 What started as a conference for lifestyle bloggers has expanded to attract women in a variety of creative content businesses from podcasters, to interior designers, to authors. It is a magical few days of learning and networking, and each year I go home with new ideas and opportunities. This past year I served as an Alt Rep, helping the conference run smoothly by getting the speakers set up for each session. Did I also mention the conference is held in Palm Springs, CA? You couldn’t ask for a better destination. What’s to come in 2019 – Surprise! I am once again planning to attend Alt Summit in March. 🙂 This year I will be one of the conference speakers – leading a discussion on how to develop lasting brand partnerships! 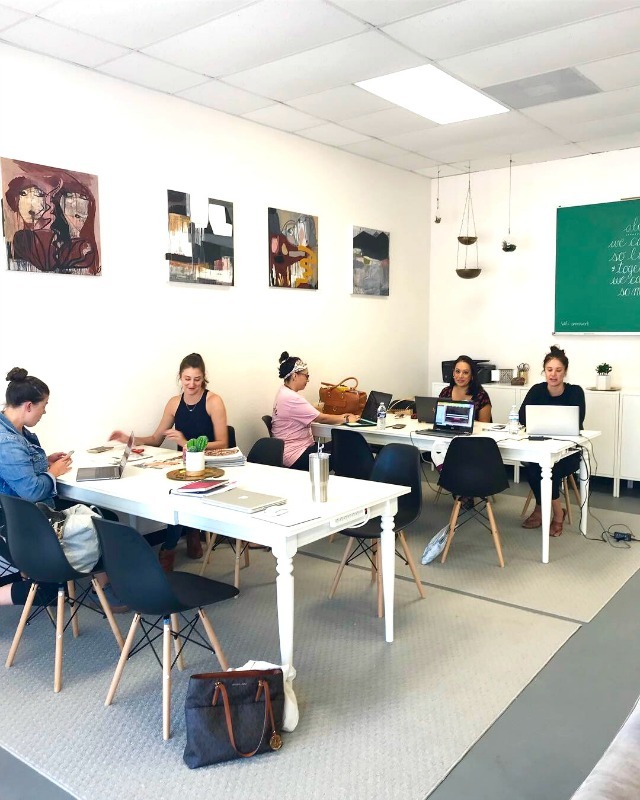 In September, I attended an event at Annex Coworking, a recently opened female coworking space in San Antonio. After seeing the beautiful workspace and meeting its owner Carrie Hill, I knew I had to be part of it. I signed on as one of its inaugural members and love having an “office” to go to one day each week. In the short time I’ve been a member, I’ve already met some amazing entrepreneurial women including Meredith Cooper, a financial advisor helping women invest for the future, Hannah Zucker, founder of Florecer Femme, a community dedicated to empowering women leaders, and Melissa Evans of Melissa RaeLynn Photography. What’s to come in 2019 – you’ll find me at the Annex plugging away on my computer or styling a photo shoot on one of their big tables! When you work from home each day it is amazing what a change of scenery can do for your productivity, and I love the opportunity to work alongside other women pursuing their business goals. This actually just happened at the beginning of 2019, but I’m putting it here anyway because I started planning for it in 2018! If you subscribe to my emails, you will now get a letter from me each Sunday with stories “from the craft room floor”. I thought it would be a fun way to share what I’ve been up to each week, especially the parts you don’t see from the styled photos I share in my tutorial posts. 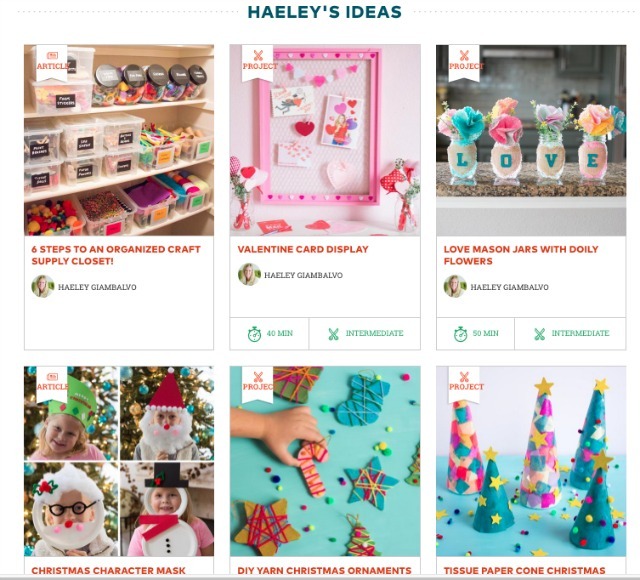 Get “From the Craft Room Floor” in Your Inbox Each Sunday! By the way, working from the craft room floor looks nothing like this photo above. Ha! Thanks for the fun photos Melissa Raelynn Photography!